A toolbar that refers to current profile handling. 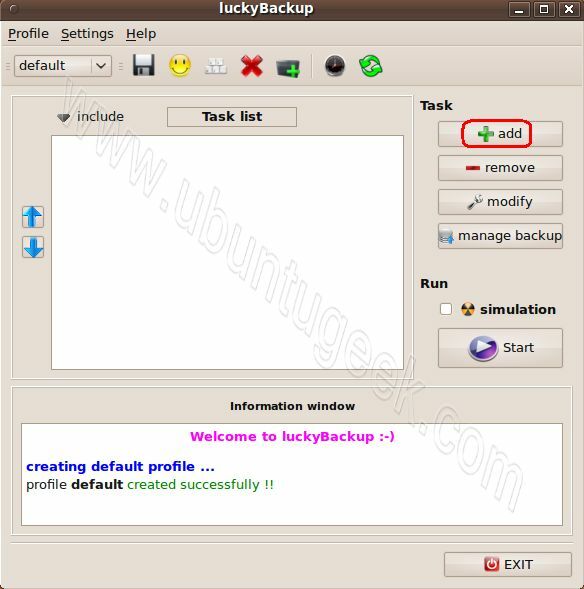 The Task List which lists all the available tasks of the current profile. 3 buttons that refer to specific task handling (add – remove – modify). A start button and a simulation check-box. 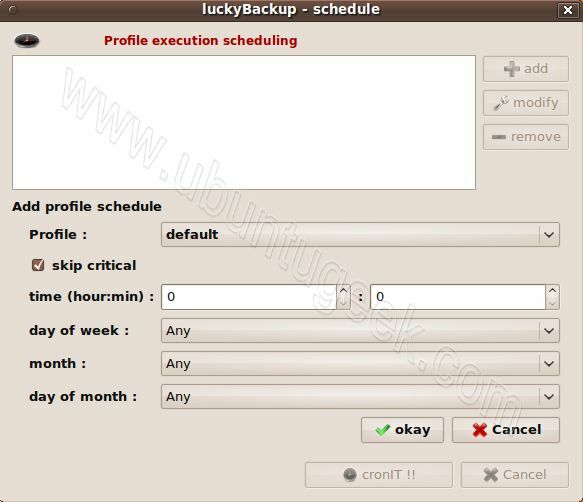 You can start the execution of all the tasks included in a profile by using these. An exit button. Pressing this, will quit luckyBackup. Is it as good as Back In Time? Hmm…Looks suspiciously similar to Grsync that I use for backing up custom directories. 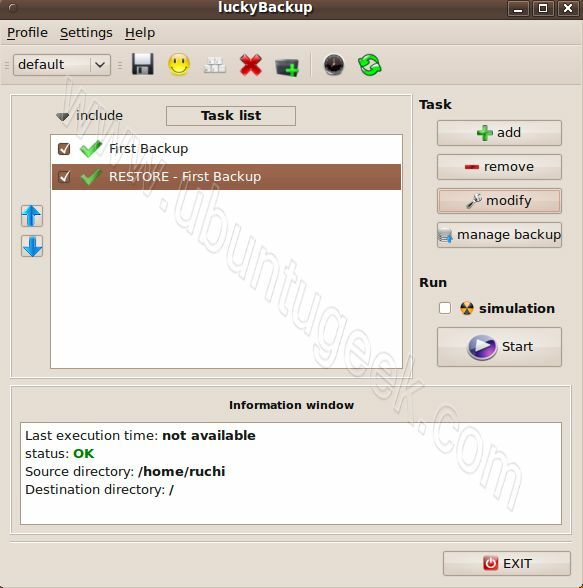 I’ve tried backintime but I was unable to do a restore from the backups that I made with it. So I have been looking for a good alternative. This program looks like what I have been searching for. Thank you. Ah, you covered backup but more importantly, how to do a restore from the backup ? Thanks for the review of the program, but I would not personally recommend it after trying it. It gave me a lot of grief when it locked my machine solid and had to do a hard reset to escape. This resulted in the partition not being mounted correctly and the thought that I had lost over 500Gb of data. Fortunately I got the data back but it was a stressful few minutes. The possible data loss was probably more to do with the reset. But back to Back in Time, albeit its not perfect but it does backup the data without locking up. This is an area that does need addressing on Linux, a top quality gui backup app would be a wonderful addition. I’m using Synkron (http://synkron.sourceforge.net/), and I am so happy with it. I’m using from Linux and from Mac. loads of screenshots and I still have no idea why I should pick this backup solution instead of the 5000 other ones. Unfortunately it is easier and usually safer to build a homebrew solution than evaluating dozens of the available solutions which all have very similar features. thats true. Well was there anything that did particularly catch your attention with this one, is it better than any other you have tried. Reviewing backup solutions is a very difficult task.. any piece of wisdom aside of the standard buzzwords might be useful for someone. I’m always happy to see another backup option. Anything that gets more people backing up their data is good. Showing that RESTORE is important – actually, 90% of backup effort should be spent on testing restores – that IS the whole purpose. Backing up is good, but worthless without a restore. Personally, I use rdiff-backup since differential backups is critical to my requirements. @RZ – can you let me know the other 5000 backup applications? 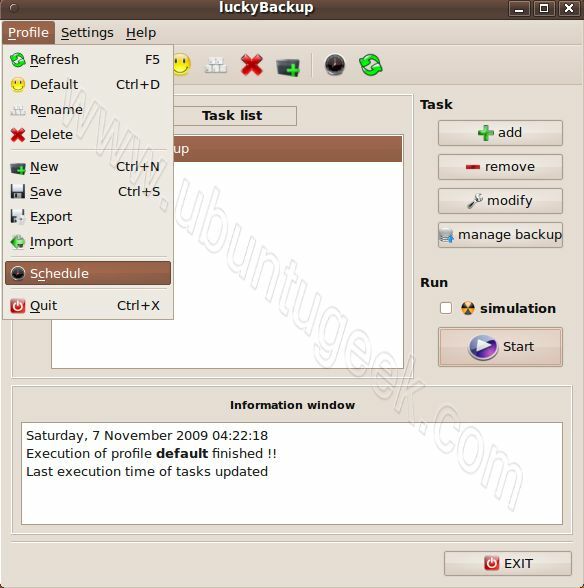 I can think about grsync and Back In Time, apart from one GUI tool offered by stock Ubuntu. Have spent countless hours trying to figure out a good backup solution with a GUI which I can give to my users. @Vivek: the good GUI is one of the criteria that does radically cut the selection it seems. 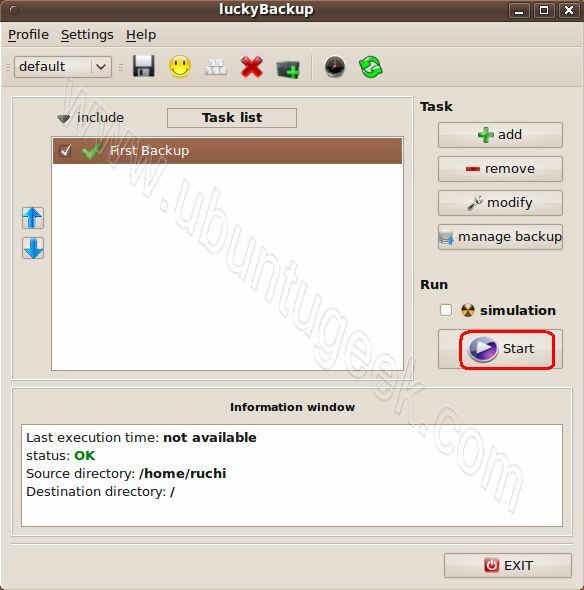 I have never explored it under this criteria, I am aware of Bacula, pybackpack, sbackup in addition to what has been mentioned previously here. Personally I would be very reluctant to recommend anything that uses rsync in any way. Rsync is extremely complex, the more advanced pattern matching does rarely work as documented and I have doubts any GUI tool can successfully circumvent *all* of the traps that rsync has built in for naive users. When I sync with a remote host, I get the ‘connection refused (111)’ message, and this also happens if I run the command from a terminal. 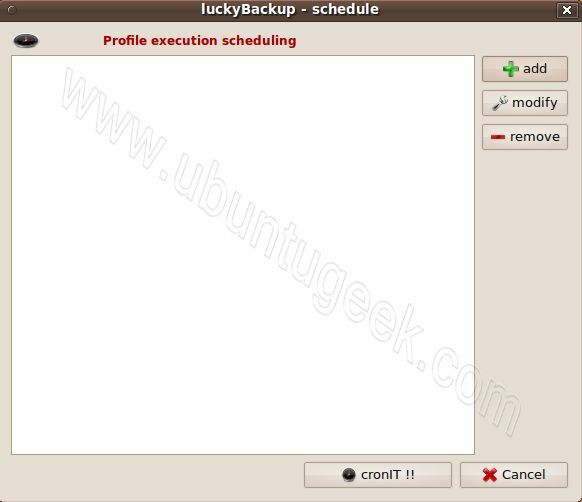 But if I manually remove the double colon (write : instead of ::) then it works.. however I don’t know how to make Luckybackup only use one colon? That’s neat. I understand this is a front-end to rsync. So it’s great for people who do not want to fiddle with all possible rsync options. But *if* you know rsync a little, I think it’s better to configure your own and personalized rsync crontab entry.